Gili Lawa Darat translated as “the island close to the land” in Bahasa is located in the northern part of the Komodo National Park. Gili Lawa Darat is facing a wide and deep bay of Komodo island. 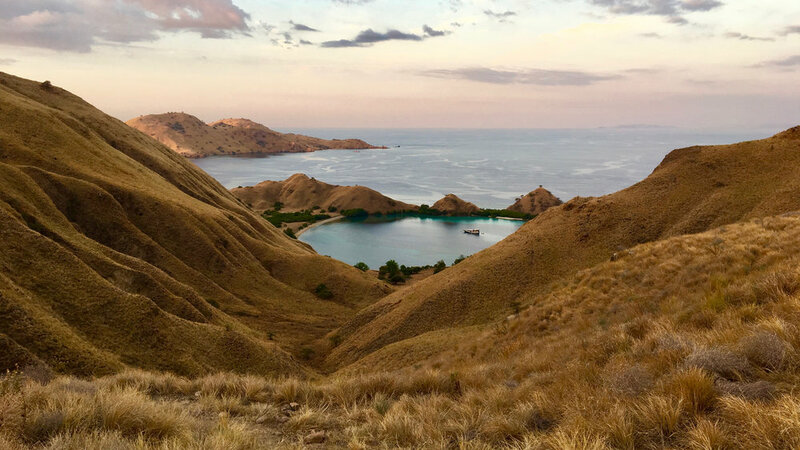 Protected from winds and waves, Gili Lawa Darat is often called by crew “Komodo’s fjord” and makes the perfect spot for water sport, stand up paddle, kayaking and many more. Gili Lawa Darat offers a wonderful trek with panoramic view on the bay and the surroundings. This place is full of marine surprises as it is close to the ocean and if you are lucky enough you might see an humpback or blue whale! One of the favorite places of Hello Flores team. Do you want more information about Gili Lawa Darat in Flores?